At Orange County CyberKnife, our mission is to help patients throughout the greater Orange County area fight cancer through cutting-edge radiation therapy treatments. But we strive to do more than just provide treatment: we want to be a resource in every aspect of the fight against cancer. March is Multiple Myeloma Awareness Month, and we feel this is an important initiative for raising awareness of this rare but serious form of cancer. Multiple myeloma is a rare form of cancer that starts in plasma cells, a type of blood cell found in the bone marrow. Plasma cells make antibodies, which are part of the body’s immune system and help fight recurrent infections. 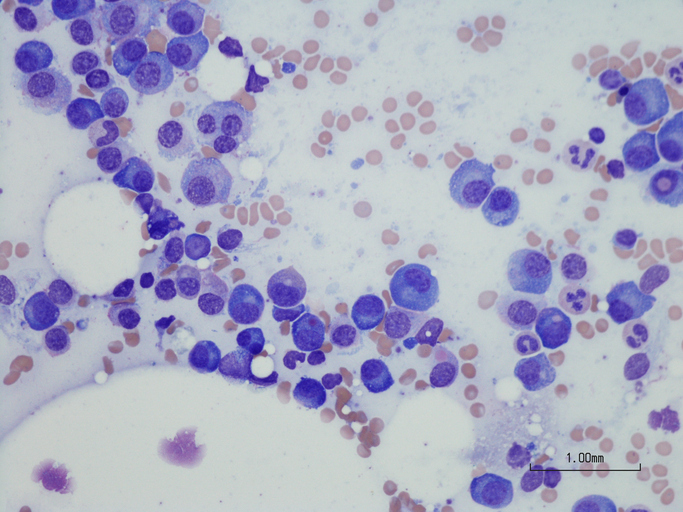 Multiple myeloma forms when plasma cells mutate and start to grow abnormally, forming a tumor called a plasmacytoma. Generally, plasmacytomas form inside of bone marrow, but can develop in other tissues in rare cases. Multiple myeloma is relatively rare, with roughly 30,000 new cases each year. It’s also a fairly serious form of cancer, as the 5-year survival rate for all stages of multiple myeloma is 49%. However, the outlook of any individual patient depends on their specific case, and treatment is always possible. Often, doctors will elect to combine two or more of these treatments for the best results. Ultimately, it all depends on the specifics of the patient and the case. We know how challenging it can be to deal with a cancer diagnosis, but at OC CyberKnife, we’re here to help. Our state-of-the-art cancer treatment center provides a wide variety of treatment options to our patients, and we can work with you to help you understand your conditions and the treatments available to you. If you or someone you love is dealing with multiple myeloma, don’t wait: contact us today and schedule a treatment consultation. We can’t wait to hear from you, and we wish you a happy, healthy Multiple Myeloma Awareness Month.